I would like to begin this post by explaining it's origins. A few months ago, as I was browsing the inter-web, I came across a post by Jade Purple Brown explaining reasons why she would never be Rumi Neely. Although I too love Rumi Neely, "the first lady of fashion bogging," according to Jade, this post hit me hard with another blogger. A blogger whom I admire in the way that Jade admires Rumi. A blogger by the name of Sarah Vickers. 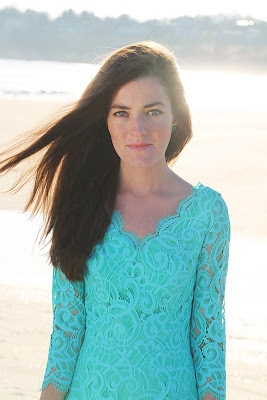 Have you heard of Sarah Vickers? She is only the classiest, most prep-tastically awesome New England biatch out there. If you haven't heard of her, stop. Leave this post right meow and check out Classy Girls Wear Pearls. It's Sarah's blog and it's f'ing awesome. It's everything New England you want and more. Beautiful people, beautiful places and beautiful clothes. 1. I don't photograph like a Ralph Lauren ad. 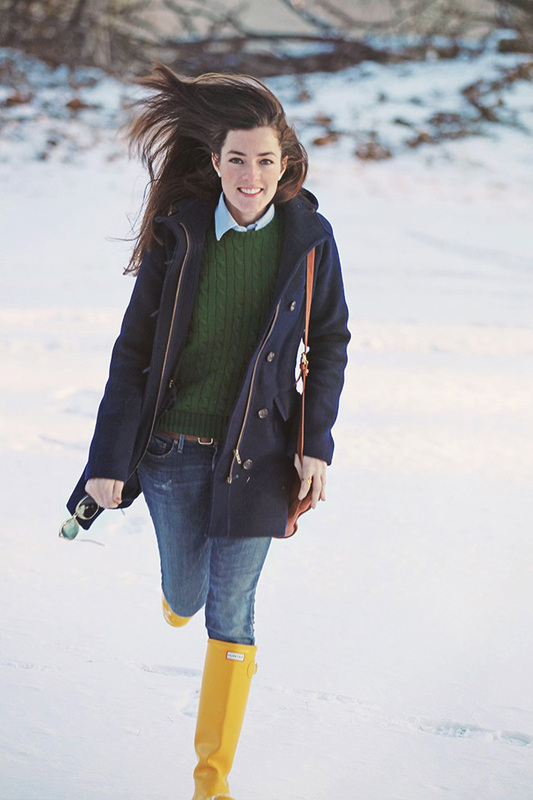 Every time Sarah blogs posts pictures on her blog, the photos look like they should be in a Ralph Lauren Catalog. I mean, who really looks like this when they're on a sailboat, who really wears this to chop down a Christmas tree and who really has these kind of holiday get-togethers. Plus, why are you always running? I am always stationary in my photos, not mid-jog, hair blowing perfectly in the wind. I mean, I'm definitely just jealous because it's how I want to look, but in reality, my friends and I look like drunken pirate hookers most of the time. 2. I shop at Target. When you're as prep-tastically awesome as Sarah, designers beg at the chance to dress you. As the essential poster child of New England, Sarah gets offered, c/o, the most fantastical brands out there, like Lilly Pulitzer, Cynthia Rowley, Hunter, Barbour, Anne Taylor and Brooks Brothers to name a few. And you know who begs to dress me? That's right. No one. So I spend my hard earned, crappy paycheck at Tarjet-Boutique. Kate Spade? Kate Shmade. You'll find me in a Mossimo, polyester/cotton blend sweater that shrinks upon its first washing (just kidding Target, I love you). But seriously. Just getting featured by Lilly Pulitzer. Nbd. 3. Dessert is my favorite. Sarah basically has, like, zero percent body fat on her. I mean, have you checked out her bod? Pretty bangin'. And her legs? Stem-tastic. She shows them off regularly, on her blog, in sexylicious-yet-obviously-classy shorts, skirts and dresses alike. I mean, I get it, you are basically perfect and look awesome in everything, but I bet you're not enjoying dessert the way that I am... #Tradeoff. So while Sarah munches on lettuce, I'll continue to stuff my face enjoy all the cake, frosting, pie, ice cream, candy, chocolate, cupcakes and donuts that my thunder thighs can take. 4. I don't have a 6'4," designer/model boyfriend who employs me. Sarah's boyfriend Keil is the founder of the Keil James Patrick brand. He has the look of a young Chevy Chase, the mascarade of a charming frat boy and the bank of a Russian mobster. He's every girl's dream and he also employs Sarah. She even has her own Vickers bow collection in the brand. Now that's love. My bf on the other hand is 5'10," seasonally employed and is as broke as I am. Truth. 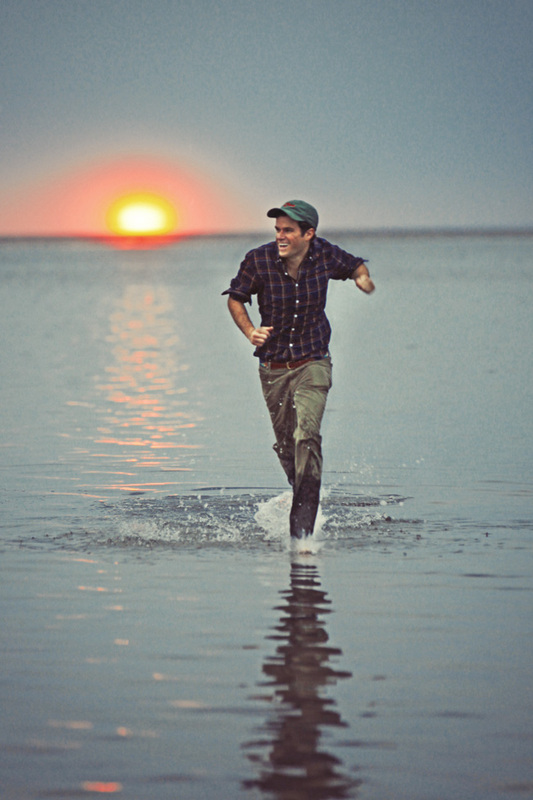 Even KJP is always running. Running, running, running! 5. I talk a lot. Sarah keeps her blog simple. She posts photos of her fantastic friends, fantastic boyfriend and fantastic life. Then, at the bottom of her post, where you would expect a message explaining those fantastic photos, she leaves you hanging. No explanation. No "these photos are of my real friends, in my real life, of the time we really did this." We get nothing at all. This drives me craaazy. Crazy because I just want to know more. I understand wanting to keep your life private. I tots do, I mean, you want to keep those crazies (like me) away. But then why have a blog? Give us more Sarah. What's your favorite color? Do you really hang out with those "friends" on your blog? 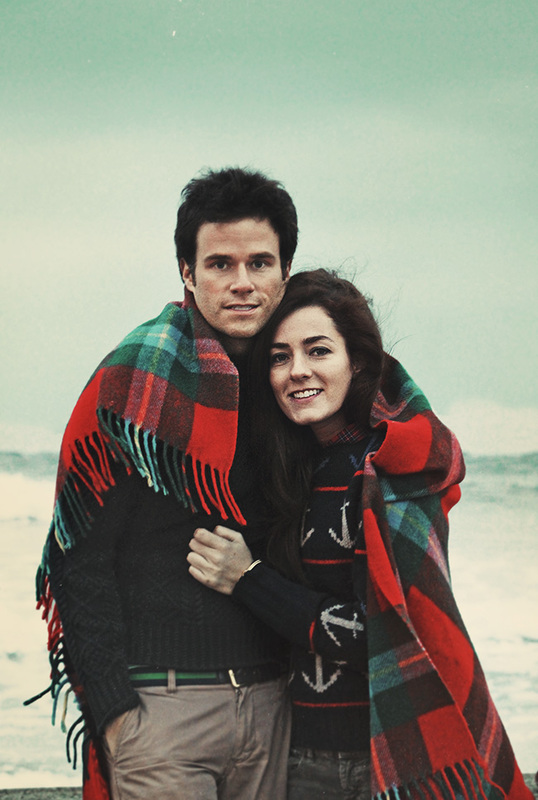 Is KJP really your bf or is it all one, big, beautiful hoax? Tell us more. We want it! We get it, you are sooo mysterious. But enough is enough. Time to over-share. We'll still be obsessed with you even if you can't spell. 6. My hair is not thick and I can't rock an aggressive side part. 7. I don't live on, near or around an ocean (or yacht club). 8. My friends [also] shop at Target. 9. Lilly Pulitzer has no idea who I am. Funny! You have a great sense of yourself, and can admire others at the same time! So I have thought about this post for awhile and what to write to you....and then it hit me how I really feel on the way to work today. Drumroll....I don't really like Sarah Vickers. Call me crazy, but her outfits are ridiculously predictable. There's not one thing she's worn, that I'm thinking WOW! How different! How inspiring - I wish I could be that creative! I'm going to guess she only shops at two different stores for her entire blog. Blah, boring, NOT impressed. Yes, she makes me want more Hunters - that is true. I want the red travel ones that fold - that is Sarah Vickers fault, but other than that - I like your style better. Seriously - I will take your closet over fancy pants Sarah "predictable" Vickers any day of the week. I actually do agree that her style is predictable. It's gorgeous, but usually the same. I think it's more her ridiculous life that I love. Weekends on the beach, free stays at the Waldorf Astoria, cocktail parties every night. Let's start doing that Fanci.Mandi. This is really insightful though. Thank you for sharing your thoughts and hank you for saying that you like my style better. I love you long time. Sarah has no edge. I bet she doesn't even own a leather biker jacket. How boring. RL ads. WTF. I do like here but sometimes you have to laugh at the ridiculousness of it all. She is so ridiculous. Why can't I stop staring?! LOL. I googled Sarah Vickers tonight too, and that's how I landed here. Ashley, you come across as much more likable and genuine on all levels. Sarah Vickers has nothing on you. You have captured EXACTLY how I feel about Sarah Vickers, KJP and the rest of their beautiful friends. They are fascinating and I can't really put into words why that is. I just can't get enough. I am dying to know what in the hell she eats (or doesn't eat) to stay so skinny, does she work out, how much money do they really have, etc. I guess I will have to keep wondering! Why won't she speak on her blog?! I am dying to know too! Tell us! Have you also noticed these Instagram videos? She never speaks but moves like an angel. This post basically sums up my life and points out the fact that Im wasting my time trying to be Sarah Vickers. But seriously, who takes all her photos. Noone- not my boyfriend or my friends or my mom- would put up with me constantly asking people to take my picture. And WHO takes all of the running pictures?!?!? also obsessed with sarah vickers. i copy her outfits.. never turn out half as good. Thank you. I copy her outfits too, and while Sarah looks classy, I look like a nautical, preppy, Colorado wannabe. No good. Really? So, you've met her or know someone who is connected to her? I'm kind of intrigued. It seems like nothing personal about her and KJP is allowed online. It's like they have it all taken down right away. Out of sheer curiosity, is she as pretty in person? Aggressive side part, I almost died laughing. I am Cheers-ing you in my Forever 21 $13 tartan skirt! Yes I know her and no she is not as pretty in person and is seriously awkward. I'm not sure why personal stuff is taken down.... maybe so she can keep her fake image. Not surprising, really. We all know girls who instagram their perfect lives even though it's clear that they're unhappy. That's not to say that Vickers isn't a happy gal, but she sure knows how to gloss over the real stuff. Honestly, her "blog" is just one long advertisement with herself as the only model. They all intrigue me so much mostly because it's fascinating how someone could live like that. I myself as a college student (as most of them actually are) is really shocked how they number one: have the time, number two: have the funds, and three: feel satisfied living like that. I just feel like most of there life (from pictures) is very fake and is set up just for the mere public(ity) and their brand. I myself do love their style, outfit choices, etc however, what I don't like is that most of their clothing options are unrealistic (a good 99% of the time I ask myself "where would I wear that"). I prefer bloggers like yourselves who seem to be "real" people, creating realistic outfits, and being interactive with others. If you look them up on youtube, you can find the occasional interview like I have and again not very much information given. Again, I love their style, but I personally feel it's very rehearsed. Don't beat yourself up over it. Yes she has a great wardrobe, but she looks like she's AT LEAST in her early 40s. OMG! Love this! I, too, am obsessed with CGWP. 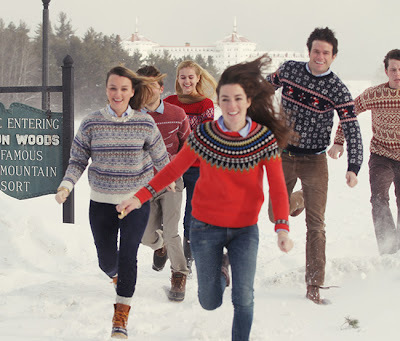 And yes, it does look like a Ralph Lauren ad, which could really be why I'm so obsessed, but it can't be real life? Can it? Everything is perfect. The skin - no blemishes? The hair - never out of place? Does she know about bedhead? And all of her friends have the same fantastic perfection look. It's like going through life constantly air-brushed. Oh, well, I will continue to look and obsess. But I like this blog a lot too! Thanks! This is fantastic and so hilarious! I found myself literally laughing out loud. I've been enjoying the rest of your blog as well. I'm from Colorado as well and I love that your blog is unique from all the east coast/ big city blogs out there. You're right up there on my list of blogs to keep up with along with classy girls wear pearls, so keep up the entertaining, real life posts! What a fantastic post! You have exactly summed up my feelings as well. This post is fantastic. I came across it because I googled, "Does Sarah Vickers work?" Hee. Great blog! Yah, they're always running and who is the person who ran ahead of them to take the photo? And why is it that, at all of these parties, there are never any 'extras' - it's always the same 6-or-some-odd friends? How do they work the angles to get the 6 people all together and everyone else is out of the shot? How can everybody smile that much, that broadly, and look like they're having such an amazing time, all the time? It's like in every shot, it looks like somebody has just cracked a super-funny joke, and come on, these people don't look like they're that funny. And how does sarah vickers know the brand name of all of her friends' clothing? And how do they get the amazing composition of each photo? Like, all the props are perfectly placed, even in the running scenes. And wouldn't it just get annoying to be photographed every day almost? It takes TIME to get your photographer to run down the stairs to get a shot of you looking out your window. At the very least, wouldn't your friends tire of you constantly wanting to take pictures? Also, how can you have that many clothes--they're all the new season, and I don't see anything being repeated in her wardrobe except her sunglasses and jewelry. I really think this is just advertizing disguised as a blog. So. Anyway. Your post was hilarious, btw. And the S.V. blog rocks. I go there all the time to look at how the clothes actually look in real life (because the product pics on the company websites don't give you a good feel for them). I agree, I love seeing a lot of my favorite brands modeled by Sarah Vickers and all her classy friends. If only they looked that classy on me...alas. Found this article in Google. Read Sarah Vickers' blog. Well why don't we just see it like a catalog? Why do we care about how she actually is? It's business. It's advertisement. It's a job. I love her style (well may not be her, maybe a team consist of stylist, photographer, etc. whoever there getting these done). The American Girl Dolls all have outfits, stories, and tea parties you can go to. Anyone ever think of the dolls are actually happy or not? Business is business. anon. 8:57: I'm anon 8:27. I definitely see it as a catalog--one of the best catalogs I've ever seen. I agree with the poster who said her style (aka, the blog's style) is predictable. But predictable is a GOOD thing ! Think about it: Predictable = easy to replicate = easy to create a capsule wardrobe = cheaper b/c you don't have to buy so much stuff. I read somewhere that Sarah Vickers has her own line coming out soon. Maybe this 'blog' is intended to set up a brand prior to launch. "Does Sarah Vickers work?" Yes, that's what you are reading in her blog. I am 50% in love with her and 50% resentful of how perfect her life is... all I want in life is her sweater collection, we have sweaters here in Seattle but they're made of hemp and smell like hippie. I am laughing SO hard! I stumbled upon Sarah Vickers' blog from seeing a friend who 'liked' her FB page and that was 3 flipping hours ago... I became totally absorbed with the 'can this be real' effect of it. Anyway so then I googled her and wound up here, thankfully! I real blog person and your commenters made me feel SO much better. I too am a Target shopper and my whole Fall wardrobe update was under $75 at the Old Navy 30% off sale. Oh well, a girl can dream right? I totally agree, I am 50% in love and 50% resentful but I am glad to have found you Ashley, you have a new fan xoxo. and you have recipes too, I love you even more! I love this post!!! What is her DEAL anyway?! Is that her real life? It can't be. It's like she's doing a photoshoot for RL or Brooks Bros EVERY SINGLE DAY. 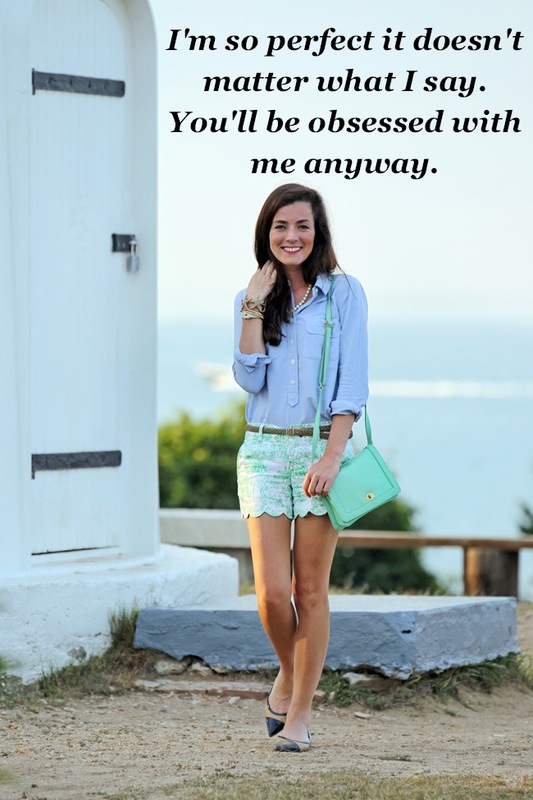 Did they all get together and Crete her and her blog to bring back preppy? Ps. I'm also a tad obsessed with her... And her clothes... And her shoes... And her jewels... She can keep her bf though. He looks like a collee a-hole frat boy to me. Whoops! Lots if autocorrects going on up there. Sorry! I love how we all wound up here from 1st stalking and then googling the too good to be true Ms. Vickers...and I keep going back for more, ugh. Do you suppose all her clothes are loaners for Lilly, Kate Spade, etc. or does she actually pay??? Certainly not retail, right? I'm the 'Anonymous' post from 9/10 and I made Ashley's Grandma Cole's Pear pie and it was killer...I think she meant 2 small cans of pears..I did 2 large so I'll be doing it again much to my daughter's delight! Oh and if you go back to Ms. Vickers' old posts she does 'say stuff' not just the staged photo ops...hmmmm. Oh my gosh this is HILARIOUS! I love her blog, but your comments are so funny and well written! oh my gosh this is too perfect!!! i totally agree that i just want to know more, like come on now we are all obsessed and want to know your life!! Anyway, I enjoyed reading your post as you summed up exactly what I'm thinking. Thanks for keeping it real! Like a lot of others I found your blog after googling SV. You really made me laugh. I am an SV wannabe: I go out in the morning with my button down shirt perfectly set under my sweater and statement necklace, jeans nicely tucked in my boots. By mid day I look like a crumpled farm worker with a fancy necklace. Does she look like that all day? As for the who takes the photos question, I would guess a chubby schlubby non-runner non-catalogue-worthy friend. If that position ever becomes available I will definitely be auditioning. I find her a bit of a thinspo/rich girl sell out more than a hardworking average inspiring individual. I mean she is gorgeous and she dresses brilliantly but, like you said, she is so thin without looking emancipated and she has really thick hair and brags about her picture perfect life which is irritating. Funny post! this is hilarious and awesome and i loved reading it/also love sarah vickers. why do her holiday parties look like an advertisement too? why? i too wonder "are those your real friends?! do you really party looking like that?!" Many of you are missing the point. Her blog is meant to be an online catalog or magazine, not realistic. Sarah is a model! 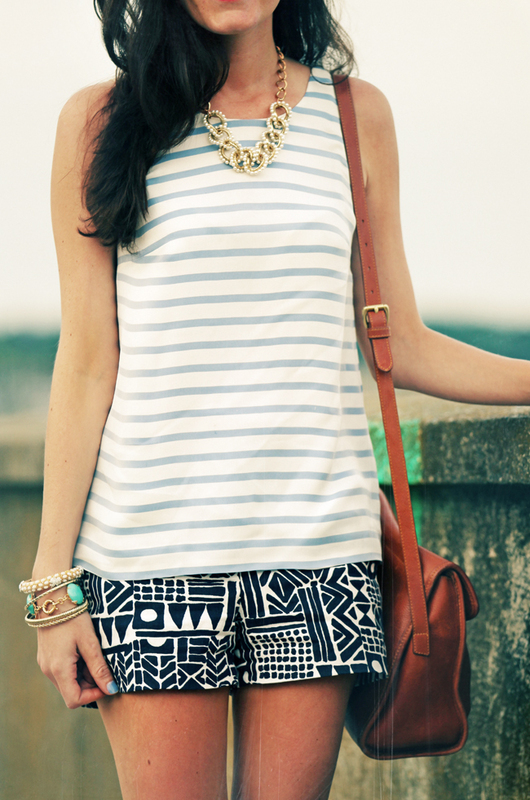 She models clothes for her boyfriend's brand and designers like Lilly Pulitzer. It's her job to look perfect and preppy in every staged photo. None of it is real or meant to be! I admit, I have a crush on Sarah Vickers, but you and I are much more alike! SPOT ON. lolol, this had me cracking up because everything is sooooo true (about me)!!!! Like everyone who found this post - I googled Sarah Vickers ha! Great post - really witty and well written. I am so intrigued by her life and her boyfriend. Like why are yall they not married yet?? because I want to see the pictures from the wedding! Love finding another colorado blogger too! I too found this through Google. I only recently stumbled across Sarah Vickers' Classy Girls Wear Pearls, and Kiel James Patrick's KJP line of bracelets. I think they are cat fishing us. I don't think any of it is real. They want us to buy into their American dream - which is no one's reality - even them. I think they are blue blood wannabes who never went to college and are seeking Instafame by taking perfectly styled photos. They are conveying to us that yes this is their real life - most notably their recent engagement in Ireland. They are using this as a platform for PR for his line and I read somewhere that she wants to start a line as well. Essentially they are creating their own credibility. But I still feel as though I'm being catfished/tricked, etc. They claim to have gone to boarding school, they didn't. Their "friends" in their pictures are MUCH younger than they are. I believe KJP is 30 and Sarah Vickers is 31? But in their photos, Sadie looks like Sarah's good friend. Sadie is 19. Seems so strange. Sarah also seems to be somewhat of a muse as opposed to an actual love interest. I think their approach is off - it's way to catalogue-y to be relatable to anyone. You can't identify with a Ralph Lauren ad - you may see clothes you like and then buy, but these two are selling themselves - their life. They are portraying a Great Gatsby like existence. Neither went to college and their writing is proof of that. They seem too scrappy (pimping themselves out) to come from money. They are very calculated as to what they allow the public to see. I ventured to write a negative comment on one of their instagram pictures and it was immediately removed and I was blocked. The comment was pretty benign, just asking if they were real. They are controlling the message which in this day and age, you really can't. I love their style and their pictures. They are both beautiful people. I'm intrigued to see what the next step is for them. (a sponsored wedding perhaps?). I guess good for them but I doubt they'll be able to keep it up. The good news! I found this blog - which by the way great work Ashley!!! Can't wait to follow! Spot on! I think you have nailed exactly what is going on. I too feel like last runner up when I go to her blog, but i still keep going back for more...because questions are never answered...and at some point I think I will get more information if I keep checking but nothing different is ever posted. All i know is Sadie is KJP's cousin....found that out from Instagram stalking. lol. Thank you for your post...I am glad I am not the only one that feels this way. It's all fake, and she doesn't pay for much of the clothes and shoes. Either they are loaners or she is so materialistic she never will have a giveaway for her fangirls. Sadie's real name is Sarah, and Kiel's is Patrick McGivern(or something like that), more proof of their lies. 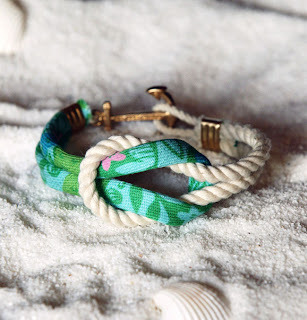 If they want to use this as a tool to sell their silly sailor bracelets, then fine-just actually admit it is all advertising and not really their lives. I admire the business they built, and bet we'd get along great in real life (kjp is HILARIOUS and we are all the same age). I don't get why people don't understand that it's brilliant marketing? And who cares if the tweens believe it is all real life? Oh no, they might be tricked into thinking wholesome stuff is real life! Still, I can't help but read all the snark about them (especially on getoffmyinternet.com). It is SUCH good bedtime reading. And when kjp came to defend himself around page 86ish, I liked him even more!! I think the biggest problem with Sarah and her fiancé is that they are selling something they don't have themselves. They want their customers to buy their accessories to celebrate the prep lifestyle, but they aren't really prep themselves. The business is certainly successful, but I wonder how much more they would accomplish if either of them actually pursued additional education in fashion or business or any of the other subjects that come in handy when you own a business. I realize that not attending college is not a sure sign of failure, but it is just so surprising that these two didn't attend college, especially when you consider the whole "preppy" lifestyle. I bet their wedding will be beautiful though, Sarah looks good in anything and Kiel is very handsome. If they have kids, they will be beautiful. This is so spot on, I know I am late to the game here, but it is hilarious. Also, don't worry, for all of you non new englanders, it's not how any of us really are. I have lived in MA, RI, CT and VT in my 32 yrs. I went to prestigious prep school. Played lacrosse and tennis. Graduated from Middlebury (have you seen the campus? It looks like a post card and is infested with ridiculously good looking athletic and smart kids). My boyfriend rowed in the head of the Charles for chrissake!! For starters, it's freaking freezing here most of the year, and anyone who thinks they can go out in anything less than sorel boots and a down snuggie is delusional. What Sarah does brilliantly is sell an image that we all want (if you say you don't, you're lying). She makes you think that if you wear her bracelet that you too will live in a stone mansion with a roaring fire That you lounge in front of while admiring your critter socks. But an $80 rope can't do that. You'll still live in your apartment and if you're anything like me, your socks are coated with a layer or dog fur. And it's absolutely fine to cyber stalk, that's exactly what she wants. What she does successfully is present an image that she's marketing as the one "you want" and "have to have/emulate". She curates clothes and borrows heavily from the mix/max of things that shouldn't go together that JCrew has perfected. Yellow high heels with a rather simple palette of blue/white with some sparklers thrown in. She has picked a back set to give you a peek into a privileged lifestyle of perfectly groomed preppies (I so bet she read the preppy handbook at some garage sale and thought "this is me") who are out in the woods in a vintage cabin, in a vintage old-world hotel, vacationing and artifacting vintage east coast old money. It's all interesting and yet, also disturbing. It's rather sad. So, don't idealize this young woman. Realize she's got a whole lot of problems we can't even begin to comprehend (style talent and marketing gifts aside). I have to say she dresses like a grandma. It would be easy to wear expensive clothes all the time if brands are giving them to you. No "normal" girl as she portrays herself to be would wear stuff like that all the time (especially for some of their "activities" like sailing in heels.. yeah right). Not sure if this is her or not, but I searched on White Pages and this address popped up 12 Atkins St Warwick, RI 02886-7708. Not so cute. It also says she's 31. Time to get a real job! Sorry but these people are a bunch of phonies! Kiel and Sarah are down right creepy and the rope bracelets and all the other products these two push are severely over-priced. Her bows are laughable! Sure, they're real people but all of their photos are staged and professionally shot. Garret (who appears in a lot of the staged photos of SV and KPJ) is an EMS worker for North Shore Hospital in Long Island New York. Everyone knows, he's currently dating Carly. Who is trying her best to keep up with Sarah and get all of those clothes and stuff for free. I'm sure they're all nice people but at the end of the day, they're just like everyone else. The only difference is that they're pretty socially media savvy. This post was good and I share some of those same reasons! I can't help but be intrigued with Sarah Vickers. Her blog is fun to look at, not just for the clothes but the places she and her boyfriend go. Whether their life is real or not, I so want that life one day! It's a work in progress, I guess, lol. Oh wow, well I didn't think there were that many of us... :-) I TOO googled Sarah Vickers tonight after being obsessed with her blog for weeks now. I keep going back and thinking "Could this be real?" - I mean, an engagement, a surprise trip to Ireland, the walk-in-closet for Christmas (did you guys see that?? :O )... it just can't be. But it is nice to look at and they do their jobs pretty well, especially if it is true that they are not that preppy, highly educated and rich as they would like us to think. I am so glad there are a lot of other people that see how ridiculous she is. I can't judge her for who she truly is, but what is portrayed is totally unrealistic and believable. Personally, I do like the classy look, it's not overly trendy. So to invest in similar pieces of good quality helps build a classic wardrobe that could last for years. BUT WHO CAN AFFORD THAT? Nothing she wears is less than $150-200 per piece of clothing (besides a few accessories). Ain't nobody got money for that! Like the rest of you, I'll stick with Tarjet and the 60% off clearance deals from Loft. I like looking at her blog for ideas for classy outfits, but I can't stay too long before I get infuriated for how over the top everything is and become super jealous that I don't "have that lifestyle". Realistically, it's not the material things that create a fulfilling life, it's love, family, God, and enjoying the simpler things in life, even if you don't look fancy doing it. I'd be so uncomfortable going sailing while wearing $250 shorts, a $300 shirt, with $175 sandals. I'd be afraid of ruining everything and not actually enjoy myself! And I can't get over the fact that she wears skirts with bare legs in January UP NORTH. I don't even do that in the South. I think they must photoshop out the goose bumps. I just have to remind myself that much of it is advertising like people have said, and that money can't buy JOY. Stumbled across your blog while looking up interview outfit ideas (and searching Sarah Vickers for her ideas), but hey! I'm glad I found your site :-) You seem so fun and stylish! It's refreshing to get inspiration off 'real' people who do work and life outside a photoshoot, if ya know what i mean ;-) No putdowns on her though, but her outfits are quite splurgey for the everyday! I stumbled upon this post googling to see if I could find out what Kiel James Patrick's real name was - they're so fake! But I'll admit that they're very social media savvy and have brilliantly exploited instagram and tumblr with a few tricks (renting houses but making it seem like they live there, staging perfect shots, wearing perfectly crafted outfits that are far too skimpy for the weather they're posing in, etc) to promote their brand. It's really incredible how they've built up this imaginary dream life that many people would love to have. Grew up in MA, Live in CT and half my family is from RI. Have you ever been to RI? 90% of it is a total sh**hole! These people are so fake. I am a New England girl through and through and this is not an accurate portrayal of 95% of us! Your post made me literally LOL! Thank you for the laugh! They are certaint laughable, but as a Communications major, I do applaud their use of social media.. but you'd think Sarah would carry around some blotting sheets? Or pick up some Hourglass primer .. She is always so oily, and Photoshop can't help you in that department! You do realize that you sound bitter, jealous and resentful, right? You are picking on her for having oily skin? Really? How small of you. You are entitled to not like her or state that her depiction of RI life is not accurate (though 99.9% of fashion advertising is totally unrealistic [and overly sexualized]..but anyway..), but, all you have accomplished is make yourself sound like a nasty, petty person. I think this is one of the most funniest post I have ever read. I also love Sarah but her entire blog has nothing to do with this post. I´m feeling like going to Ross right now. Your blog on this is very funny -- and right on. I've never heard of this chic and her equally white-bread (now) husband. Booooooooring. And shallow. I was checking T & C mag's website and found the couple just got married. I hope they use secure birth control so another me-generation is prevented. Meow. Cute article. I agree.. she seems perfect. She's truly a classic beauty, physically fit, has excellent style and is as reserved as Jackie O was. (I think that's intentional). Her husband (?) is equally beautiful and seems truly in love with her. He has great fashion sense regarding his own wardrobe. ..but his company clothing /accessories are not of much interest to me. There is an annoying overkill of anchors/nautical items, fake pearls and it seems primarily geared towards very young people who just want to look NE "preppy". The only thing I really don't like about the couple is that the majority of their photos posted look like a massively staged, amateur editorial photo shoot for a college or teen magazine. I don't think it's on par with a RL ad AT ALL. It always looks like people are smiling too hard, trying too hard to look a certain way. That's typically the complete opposite of what an editorial photographer would be going for. Still, everyone always looks super happy and the fashion is usually great.. lots of what I would call 'classic prep'... usually on Vickers. But there is also a lot of that juvenile, obnoxious Lily Pulitzer junk mixed in there. Anyway, they seem in love, and a great team. Her and Kiel used to come to a coffee shop I worked at everyday. They were shockingly nice, friendly, down to earth and generous. And she usually had pastry for breakfast, so unfair. Sometimes oatmeal which made feel better. Funny post. I love Sarah's style and must admit that I've seen things on CGWP and then had to find them and buy them for myself!I was looking up SV to see what her full name was because I noticed a D on her monogrammed necklace. I read that they rent those amazing housing for weekends, invite their friends down, have parties and take a ton of photos for their blog. I've also read that a lot of the people in their shots are interns. I guess they pick the most fun aspects of their life and capture it on camera...which makes sense, most people don't post the mundane. CGWPs did inspire me to enjoy autumn more! Oh my god! She's like a real life Blair Waldorf for Gossip Girls! Sorry, this happened to be the first picture/page I clicked while looking her up (just heard of her and wanted to see what her style was), but I'm so glad I did. You're absolutely hilarious.